Caring for people who have suffered from stroke is costing Wales £1bn annually, according to a leading charity. The charity said the “vast majority” of the financial burden is placed on families and carers. Ross Evans, interim-director for the Stroke Association in Wales, said: “With the number of people living with stroke set to soar, and the cost of the condition spiralling, we need radical changes to the way stroke is treated and managed in Wales. “The majority of the vast financial burden caused by stroke is shouldered by thousands of families and carers, who give up everything, including their jobs, to look after loved ones whose lives are turned upside down in an instant. “Stroke survivors without close family are left isolated, without the long-term support they desperately need. Stroke is one of the biggest causes of adult disability in Wales and can leave people at any age unable to walk, speak, read or write. “In the UK, for every person living with stroke, just £48 a year is spent on medical research compared to £118 for every dementia patient. The study suggested that a sustained £60m investment across a number of priority areas of stroke research in the UK could lead to an overall saving of up to £10bn by 2035. 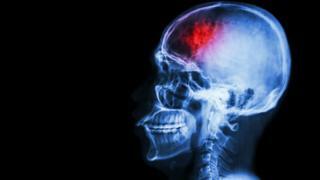 A Welsh Government spokesman said: “We are making good progress on stroke care across Wales. More people than ever before are surviving strokes but we know we need to do even more to ensure the best possible care for stroke patients and their families.